Shamsudeen Bala, the son of a former Minister of the Federal Capital Territory (FCT), paid about N1billion cash for plots of land and houses, according to the Economic and Financial Crimes Commission (EFCC). The suspect will be arraigned in court today alongside four others— Bird Trust Agro Allied Ltd, Intertrans Global Logistics Ltd, Diakin Telecommunications Ltd and Bal-Vac Mining Ltd.
All the suspects are to face a 15-count charge at the Federal High Court, Abuja. The purchases include five plots at Asokoro Gardens; House FS 2 B, Green Acre Estate Apo-Dutse, Abuja; House FS 1A, Green Acre Estate, Apo-Dutse; FS 1B, Green Acre Estate, Apo-Dutse, Abuja and House 2A, No. 7, Gana Street, Maitama, Abuja. The anti-graft agency is accusing Shamsudeen of money laundering for allegedly making cash payment for choice houses in excess of the statutory limit without going through a financial institution. 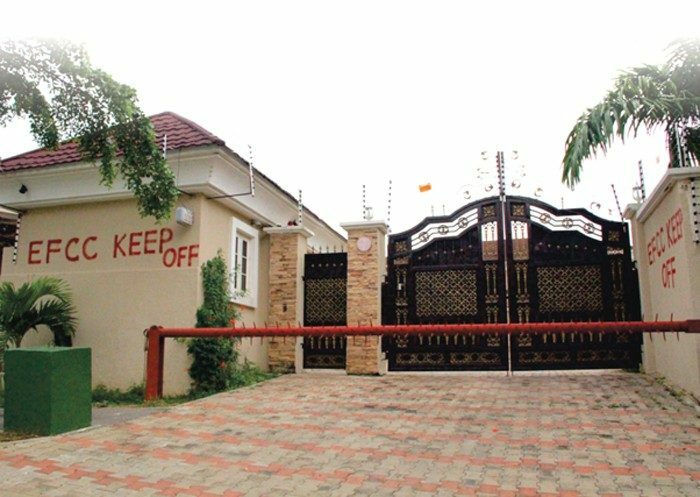 Three of the duplexes traced to Shamsudeen have been seized in line with sections 28 and 34 of the EFCC (Establishment Act) 2004 and Section 13(1) of the Federal High Court Act, 2004, which empower the anti-graft agency to invoke Interim Assets Forfeiture Clause. The EFCC gave details of how the plots of land and mansions were bought in the 15 charges against Shamsudeen and four others. The charges read: “That you Shamsudeen Bala (alias Shamsudeen Mohammed Bala), Bird Trust Agro Allied Ltd, Intertrans Global Logistics Ltd, Diakin Telecommunications Ltd and Bal- Vac Mining Ltd sometime in 2015 in Abuja conspired amongst yourselves to make cash payment exceeding the statutory limit without going through a financial institution and thereby committed an offence contrary to Section 18(a), of the Money Laundering (Prohibition) Act, 2011 (as amended by Act No. 1 of 2012 and punishable under Section 15(3) and (4) of the same Act. •N200,000,000.00 cash to A & K Construction Ltd Abuja and Sunrise Estate Development Ltd for the purchase of plot nos. 2116 and 2276 at Asokoro Gardens, which sum exceeded the statutory limit and thereby committed an offence contrary to Section 1 of the Money Laundering (Prohibition) Act, 2011 as amended by Act No. 1 of 2012 and punishable under Section 16(2)(b) and (4) of the same Act. Shamsudeen Bala (alias Shamsuden Mohammed Bala) is accused of failing on June 2016 to make full declaration of his assets to wit: your accounts domiciled at Standard Chartered Bank Plc when he completed the EFCC Asset Declaration Form A, contrary Section 27(1) of the EFCC (Establishment) Act 2004 and punishable under Section 27(3) of the same Act.